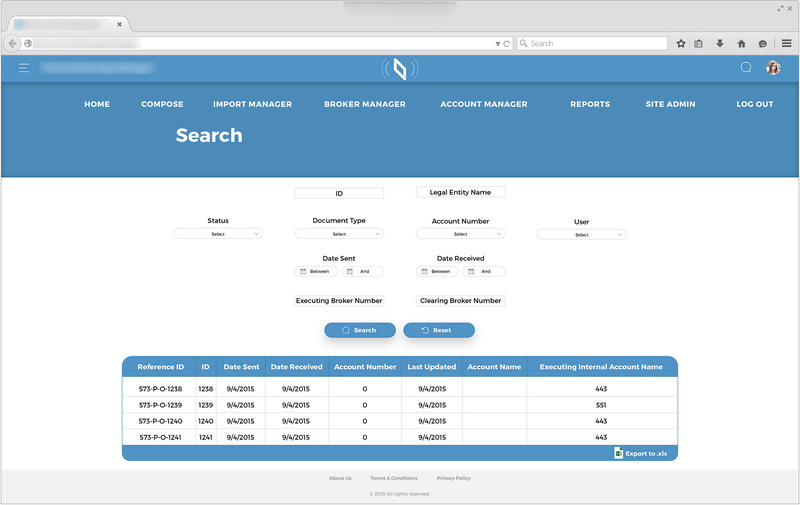 Prime Brokerage Manager is a web application that facilitates the communication between a client that needs to finalize a trade order, an executing broker and a clearing broker. 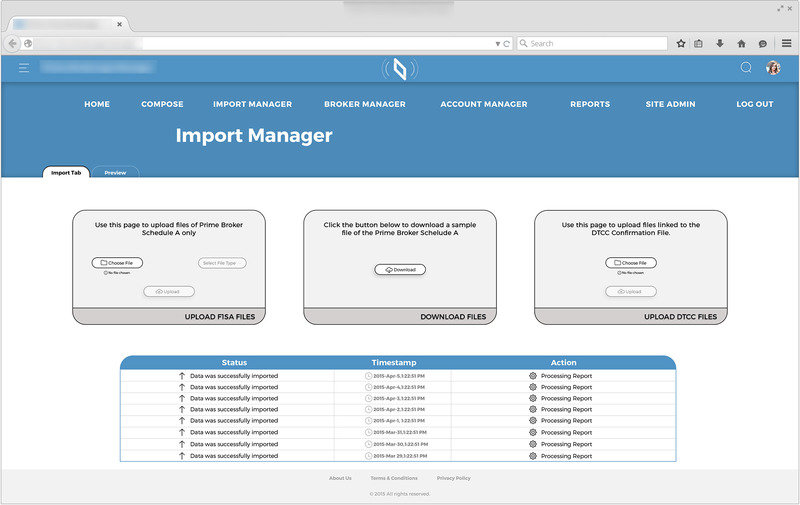 The application generates the required documents for the trading relationship between the three parties and ensures the secure sending and receiving of such information. 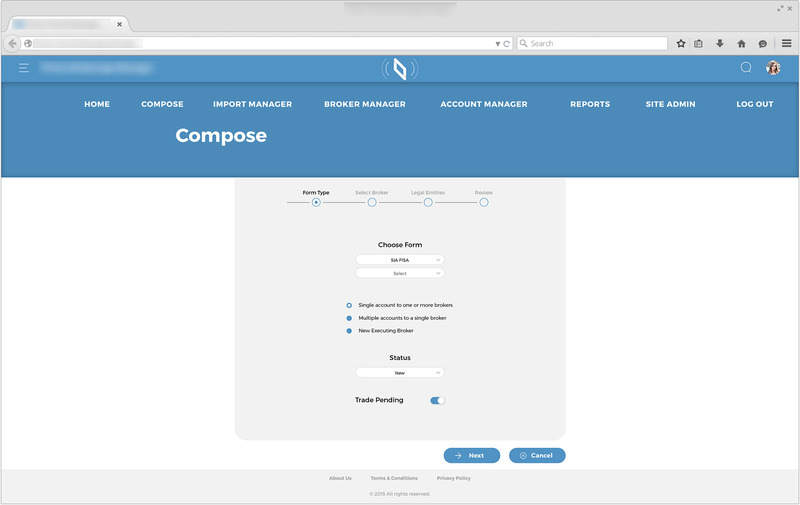 Send various predefined forms via: Fax, Email, Secure, Electronic. It ensures a secure medium of communication and helps the parties generate and manage the documents with a minimum amount of effort. 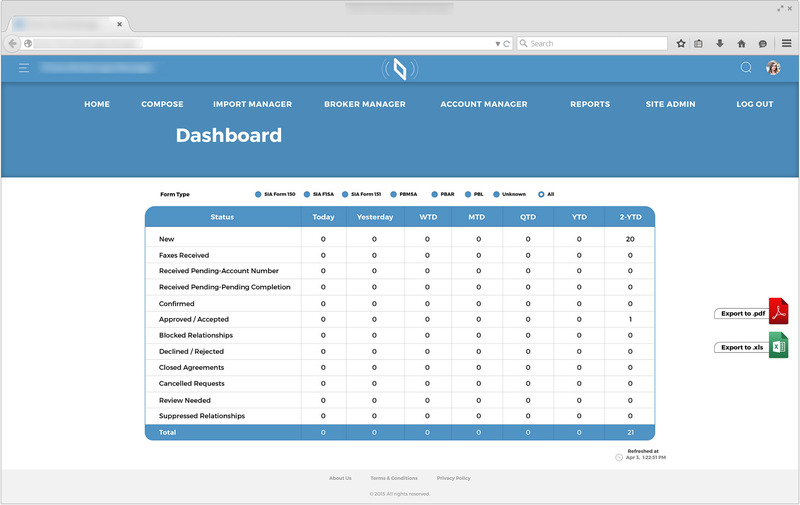 As an admin, generate various reports regarding users’ activity.